As a student, you certainly are no stranger to financial pressures. And if you are like many Canadian college and university students today, you can expect to graduate with a rather sizeable student loan bill to repay. The key to navigating the “starving student years” and emerging with the means to repay your student loans and keep monthly bills reasonable is research. Specifically, you can use the same skills that helped you get into university and earn good marks to get the best rates on auto insurance and other legally required expenses. In this post, learn 8 key ways to keep your student auto insurance premiums as low as possible. Just as a diamond will cost more to insure than a cubic zirconia, certain cars just cost more to insure than others. This variance involves everything from the age and mileage of the vehicle to the engine power and number of special or after-market features added. Too many Canadian drivers today have purchased their "dream car" only to discover after the fact that the insurance for that car puts them over budget. In general, a four-door compact sedan with good gas mileage and a 4-cylinder or hybrid engine will likely be the most economical type of car to insure. While you are still a student, many insurers will offer you insurance discounts for keeping good grades in school. The main reason for this is that insurers see a correlation between being a good student and being a good driver. So in this case, getting high marks will not only give you the best array of options in life, but it will also save you money on car insurance premiums. If there is one thing you can count on, it is that getting into an accident or being cited for a moving violation will trigger an increase in your auto insurance premiums. Since drivers ages 24 and under are considered to be the highest-risk drivers to insure, being involved in any type of traffic or driving violation will also cause your insurance payments to be higher than they would be for getting into the same types of trouble later on in life. As soon as you start driving either part-time or full-time, your driver safety record starts building. This record will follow you from year to year, so you want to keep it as clean as possible. You also want to begin building a safety record as soon as possible, because it will benefit you with lower rates as you age. Better to have a five-year clean record, say, from age 16 to 21, and be granted a lower insurance rate then, than to be 21 with no driver record history yet. 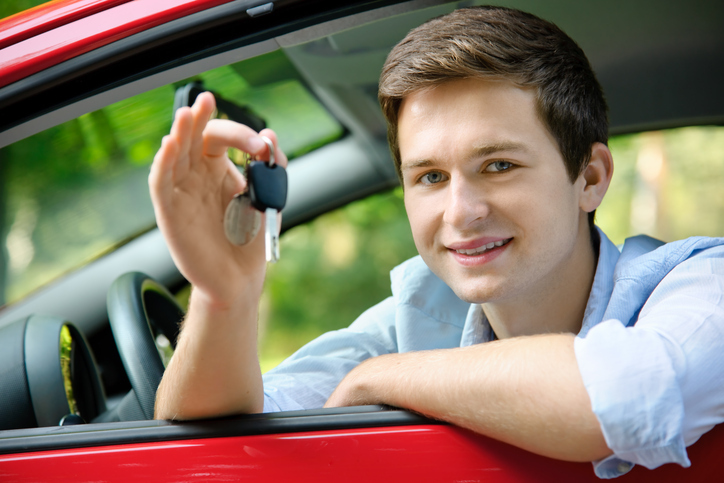 If you can begin your driving days by being listed as an occasional driver under your parents' auto insurance policy, you will pay less for auto insurance than if you took out an independent insurance policy as a young driver. Your parents will likely get a multi-policy discount, which will impact both your insurance rates and theirs. You will be insured only as an occasional or secondary driver, which comes with a lower risk, since it implies less road time. Insurance companies today are highly regulated from province to province regarding the basic minimum insurance each driver is legally required to carry. But where one insurer can differentiate themselves from the competition is with the discounts and perks they offer. Don’t assume they’ll tell you what those are: be sure to ask about all the discounts you are eligible for before you pick a policy. Vehicle safety features (car alarm, VIN tracking, air bags, etc.). Most insurers reward drivers who complete an accredited driver safety course with a discount on the amount of their annual auto insurance premiums. Of course, this is because you learn safe driving tips by taking such a course. You will need to provide your course completion certificate to quality. In the ultra-competitive world of auto insurance today, insurers are keen to retain their customers in any way they can. One newer discount that has emerged as a result of this is the insurer loyalty discount. Different insurers may have a different minimum as far as what constitutes loyalty (for example, three or five years with the same insurer). But once you qualify, staying with the same insurer can net you this discount.